The 10th Parliament of Papua New Guinea is set for a grand opening today. Governor General Sir Bob Dadae will officiate the opening. The program will begin at eight in the morning with a guard of honour by the 1st Royal Pacific Island Regiment and the combined Royal Papua New Guinea Constabulary and Correction Services Band. It will be attended by all members of Parliament including Prime Minister Peter O'Neill, Opposition Leader, Patrick Pruaitch, Speaker, Job Pomat, Chief Justice Sir Salamo Injia and the members of the judiciary. Guests at the event will include heads of foreign missions, members of the diplomatic corps, and visitors. Parliament will resume for it's normal session at two o'clock in the afternoon following the ringing of the bells. 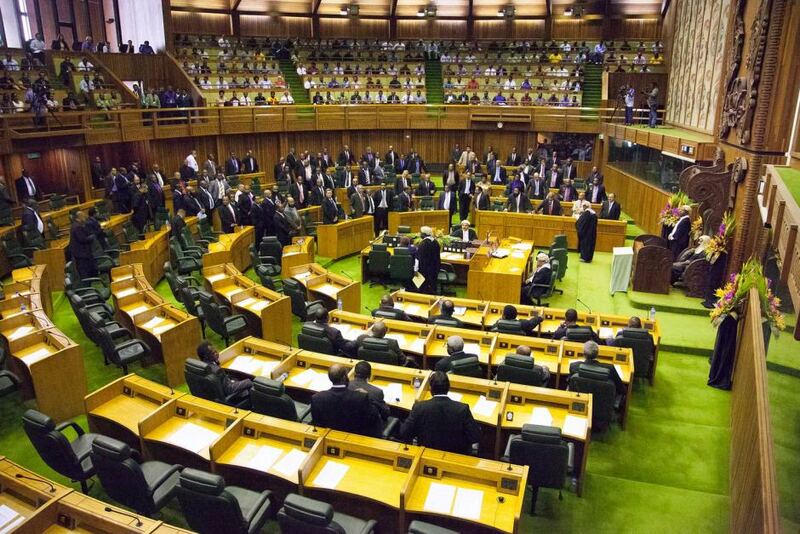 Meantime, Leader of Government Business, James Marape, has indicated that Parliament will be adjourned to September 12 after the formal opening ceremony tomorrow. Mr Marape, says the adjournment is to allow government time to prepare its business to go before Parliament, which includes a Supplementary Budget.